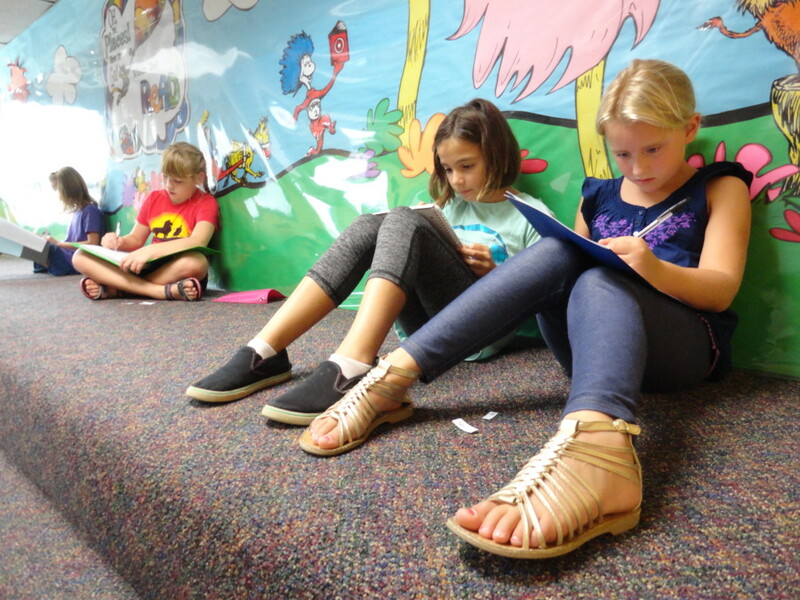 The young writers in our Wordplay Club write collaboratively and on their own. Do your children love to write? If so, Mentor Public Library has the perfect club for them—two actually. Our Write On club is for teens. It meets on the third Monday of every month at our Main Branch. They use different writing prompts and brainteasers to hone their writing skills. Any teen who wants to join their ranks is welcome. It’s a fun, supportive place to practice and improve your writing with other teens who are doing the same thing. Our next meeting is 4:30 p.m. on Monday, Oct. 16, at our Main Branch. You can register for it on our website. 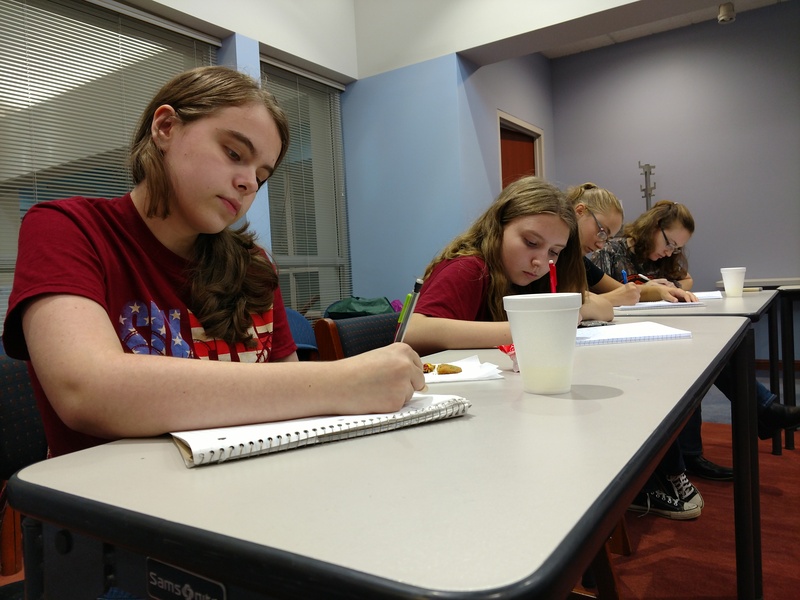 Teen writers can hone their craft together at our Write On Club. 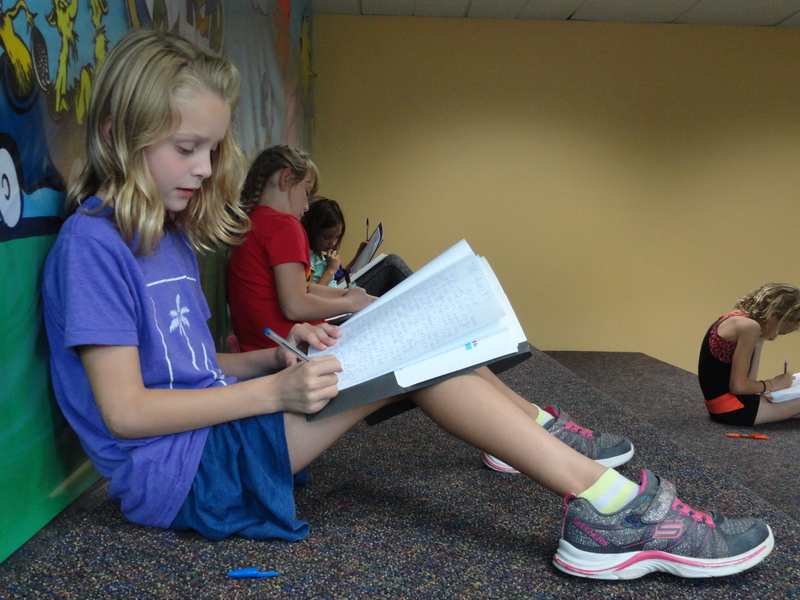 Likewise, we also have our Wordplay Club for younger writers in third through sixth grade. They try different ways to boost their creativity. For example, sometimes they use randomly selected words to create a story or create poems with refrigerator magnets. Wordplay Creative Writing Club meets at 4:30 p.m. on the second Wednesday of every month at our Main Branch. The next meeting is Oct. 11. This entry was posted in Uncategorized and tagged Mentor Public Library, Wordplay, Write On, writing, writing club. Bookmark the permalink.